Luke Carlson of Discover Strength tells us that "being a manager or a leader is ... the most important calling or work that we can engage in." The most fulfilling part is that I have the opportunity to combine two incredible passions or callings. First, I think exercise and fitness is the most powerful method we have for broadly improving one’s self; as Dr. Stephen Covey says, exercise “sharpens the saw.” Being a manager or a leader is, in my opinion, the most important calling or work that we can engage in. To have the opportunity to be a business leader in an industry that I love and in a technical area that I am passionate about is incredibly meaningful to me. Every day I get to deepen my understanding of everything related to business as well as everything related to exercise. Be very careful when choosing a business partner! Just as important, focus on growing the business profitably from day one. Top line growth is important, but bottom line growth gives us freedom to manage from a position of strength. IHRSA does a significant amount of advocacy work to Grow, Promote and Protect clubs across the country. How do you feel that work benefits your business or the industry at large? IHRSA continues to lay the foundation for both fair competition and policy/legislation that promotes exercise and consumer access to our health club facilities. 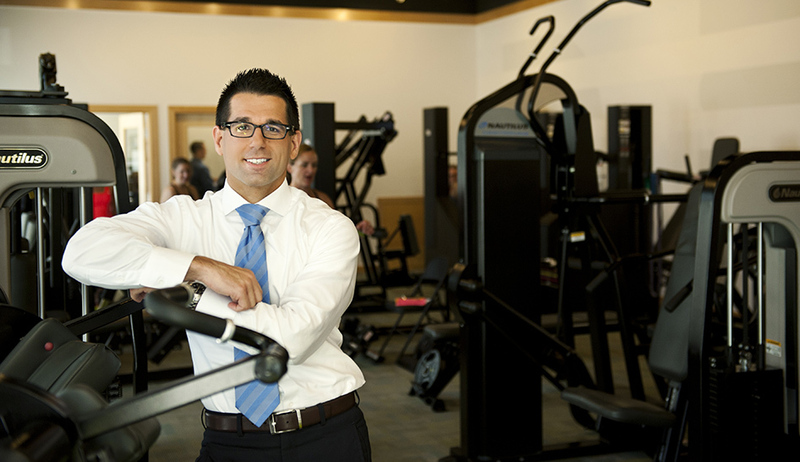 Each year, IHRSA identifies and confronts the key issues which allow me as an owner to continue to grow our business and serve our employees, customers, and communities. The Personal Health Investment Today Act, or PHIT, is legislation that would make access to physical activity more affordable. How will passage of this bill help America get fit? I joined the ILC because I was passionate about providing financial support so that we can continue to advocate and be proactive around protecting and growing the industry. I didn’t want to simply sit back and enjoy the benefits that IHRSA provides, I wanted to make sure that I was contributing to important work/advocacy efforts. Additionally, I have massively enjoyed the ILC education component offered at the annual IHRSA convention.